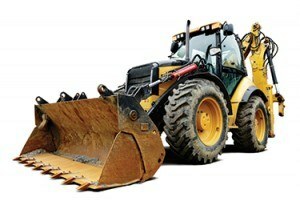 Fueling heavy equipment can be time consuming can be time consuming and costly. HB McClure’s off-road diesel services keep you on schedule and within budget by preventing downtime due to fuel supply issues. If you’re new to off-road diesel delivery or have received poor service from another company, it’s time for you to see the difference HB McClure can make. HB McClure is central Pennsylvania’s most trusted and dependable commercial and residential fuel oil provider with over 100 years of service and thousands of repeat customers. Hear what our satisfied customers have to say or click to request an appointment. For courteous, prompt service from a locally-owned company with great rates and the highest possible quality fuel, trust HB McClure as your off-road diesel provider. Customized Delivery Schedules: Daily, Every-other-day, Weekly, and more! Call 717-232-4328 to learn more or click here for an appointment. Delivery to Your Jobsite! HB McClure can supply off-road diesel for these needs and more!